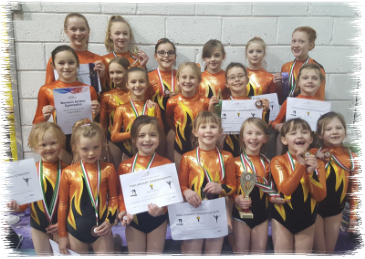 Very good results in our first Gymspire competition on Floor, Vault and Trampette, with the U8's winning Team Gold, Eva Vault Champion with special awards to Freya and Elsie-Maie, with 6th place Ribbons to Martha and Megan who also won Bronze on Floor. All did well In other age groups with Fay 5th Ribbon on Vault, Annie 6th Ribbon on Vault and 6th Floor and Overall. 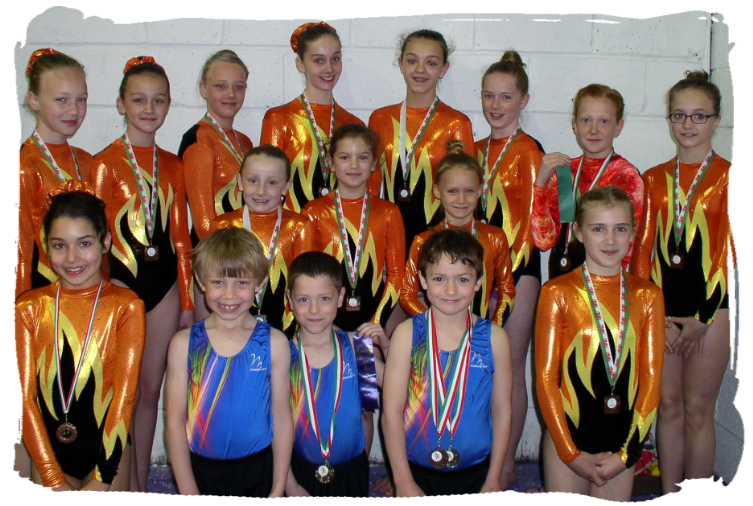 12+ gymnasts with Daisy and Florence won Team Bronze, Tom Vault Champion, 4th Overall, Cora Silver on Vault and Overall. U12 Boys - Dovydas Silver on Vault & Trampette, Gold Floor and Overall Champion, Finley Gold Vault and Trampette, Silver on Floor and Overall. James 4th Ribbon Vault, and Bronze Trampette, Floor and Overall, Mackenzie Bronze Vault, and 4th Ribbon on Trampette, Floor and Overall. Good luck to Cora, Annie, Tom, Dovydas, Finley, James and Mackenzie through to Welsh Finals on 13th November. In a higher level competition, Jessica and Eden won Bronze with new balances in their routine. Well done girls. In the South East Area Preliminary Championships held in Cwmbran Freya Hines, Eva Lawn, Megan Kear, Lilian Sapsford, Elsie-Mae Williams won Team Gold, and Martha Jones-Dekerf, Mia-Olivia Moore, Ava Burley, Hollie Smith and Kourtney Hancock taking Team Bronze in the U8’s section, with Lilian taking Silver on Vault, Gold on Floor and Overall Gold, Hollie Silver on Vault, Eva 4th place Ribbon on Vault, Megan 4th place Ribbon on Vault, Kourtney 5th place Ribbon on Floor, Ted Watson won Silver on Vault, Bronze on Floor, and Bronze Overall, with Henry French taking three 4th place Ribbons. 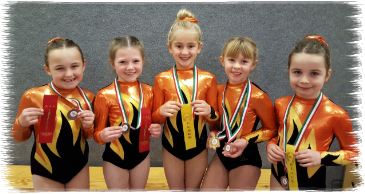 In the U10’s age group Olive Dunster, Sophie French, Francesca Owen, Sophia Cattan and Erin Roberts won Team Bronze, with Erin taking Gold on Floor, Sophie 5th place Ribbon on Vault and Olive 6th place Ribbon on Floor, Sophia 6th place Ribbon on Floor and 5th place Ribbon Overall. Henri Jones-Dekerf won Bronze on Vault, Silver on Floor, and Overall Silver. In the U12’s Section, Lilli Edwards, Annie Selwyn, Willow Summers, Honey Manley and Emma Lewis took Team Gold, with Willow taking Gold on Vault and Bronze Overall, Lilli 6th place Ribbon on Vault and 5th place Ribbon Overall. The boys kept up the pace, Dovydas Zagorskis, James Davies, Mackenzie Thornton and Freddie Roberts won Team Gold, with Dovydas taking Silver on Vault , Gold on Floor and Overall Gold, James Winning Gold on Vault and Silver on Floor and Overall Silver, Mackenzie won Bronze on Vault, Floor and Overall, and Freddie taking three 4th place Ribbons. In the U14’s Luke Tomley took 3 Golds. Cora Chisholm took Silver on Vault and Floor and Overall 4th Ribbon. Clare John 4th Place Ribbon on Vault. Daisy Macharg,Yazmin Phelps, Lexie Weldon and Amber Price had a competition and were presented with Certificates. 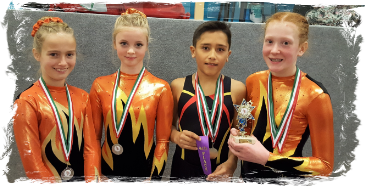 At the same time competing in Cardiff in the Welsh NDP Tumbling Championships, the gymnasts were out giving their best performance. 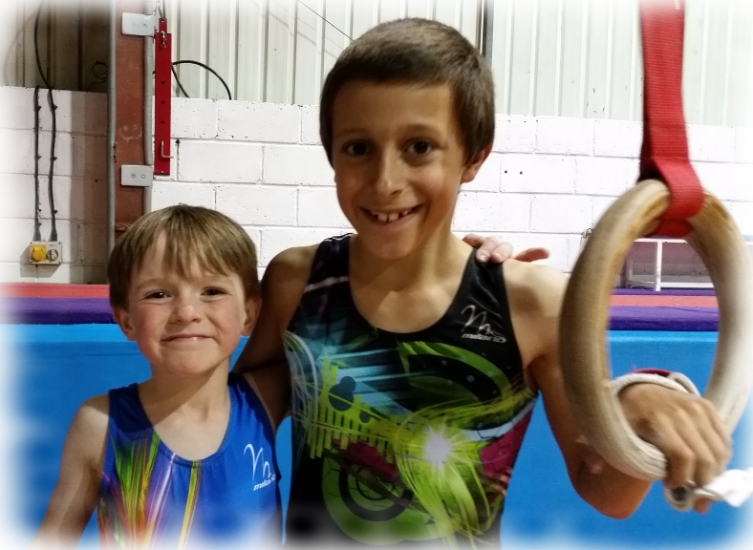 In the 9/10 yrs Club Level 2 Imogen Dowling took Bronze, and in the 11/12 yrs National NDP Level 2, Joseph Dunster won Gold, Joel Kohler-Hoon took Silver, and both boys have qualified for the British Championships together with Georgie Davies who won Gold. 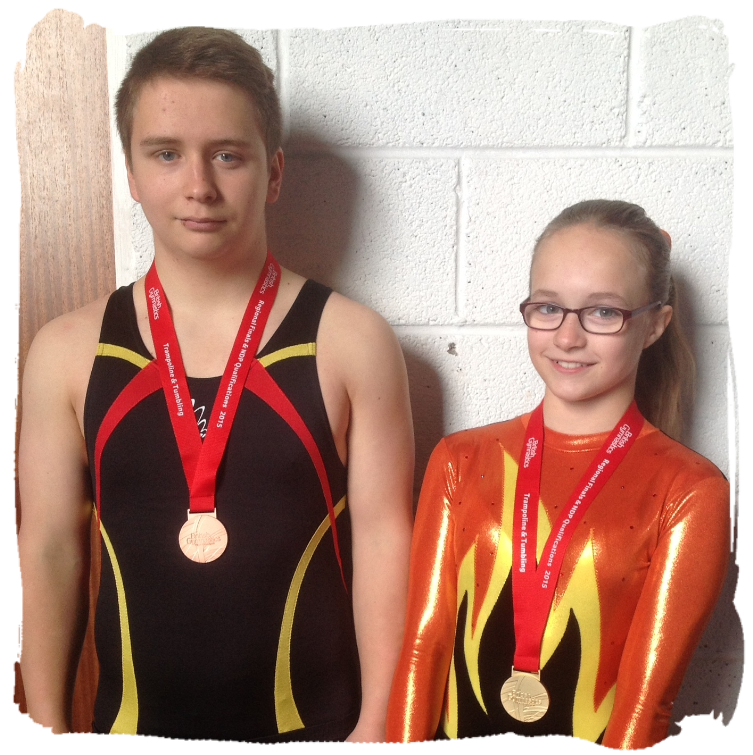 In the 13 yrs + Heather Dent took Gold, also Sam Dallimore won Gold and Cameron Maggs won Silver. Also in Cardiff Club Grades were being held with Faye Russell passing Grade 6 with Commended, Eden Fryer, Harriet Hathaway and Charlotte Jones passed Grade 5. At the Regional Grades held in Llanelli, Jessica Ham passed Grade 2, Grade 3 Commended Olivia Hathaway and Georgie Davies with Distinction. Grade 4 Commended Erica Denby and Ella Burley. They should all be very proud of themselves for all the hard work they had put in towards these competitions. 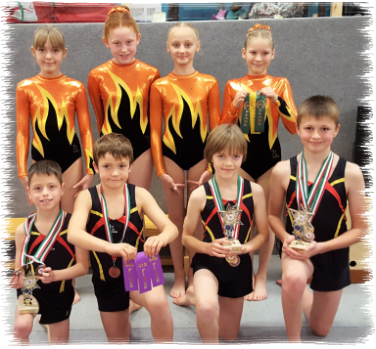 Kestrel Flyers entered the Welsh NDP and Regional Trampoline Championships held in Cardiff. 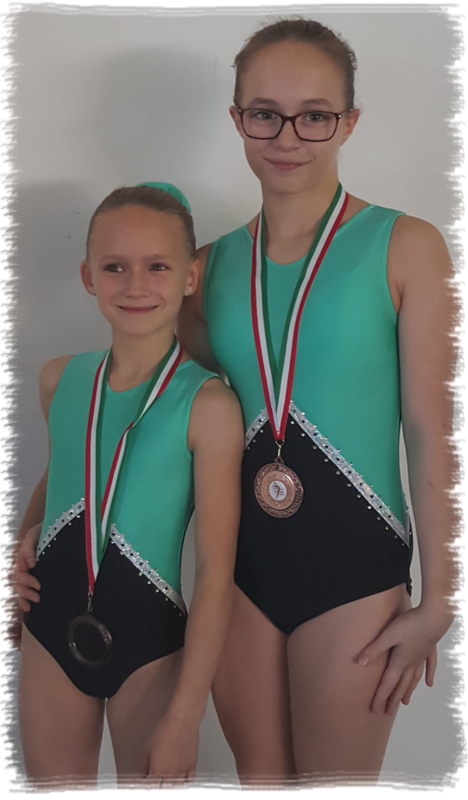 Sisters Lauren and Gemma Heal were jumping high with Gemma finishing in first place in NDP 2 with a score of 47.50 in the 9-10 age group, and Lauren taking the Bronze medal in NDP 3 13+ age group with a score of 45.50 executing very good somersaults. 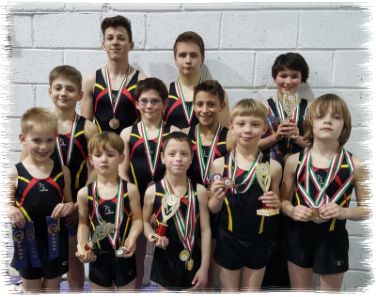 The boys were determined to do well avoiding any falls in their two set routines, and had excellent results in Regional 3 U13 years with William Dent in first place and Tom Dallimore putting great concentration in his bounces, winning Silver medal. 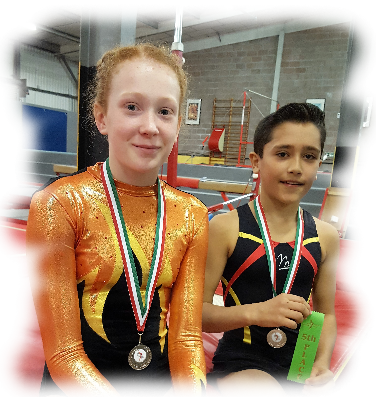 At the Welsh Trampoline NDP Championship and Regional Gradings held at South Wales National Centre in Cardiff, Kestrel Flyers did well in the 9-10 yrs NDP 2 section with Gemma Heal giving an excellent performance, and taking the Champion trophy. 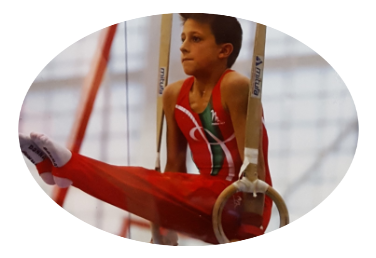 William Dent, competing in the U13 Regional 3 section, performed two good routines, winning a silver medal. Both Gemma and William are now looking forward to their next competition in Cardiff in two weeks’ time hoping to still be on top form. 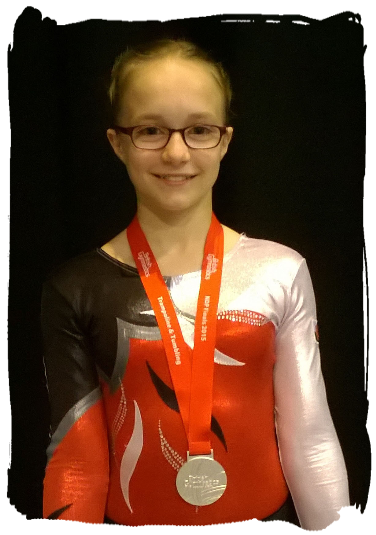 Jess took Silver in the recent British Tumbling Competition! 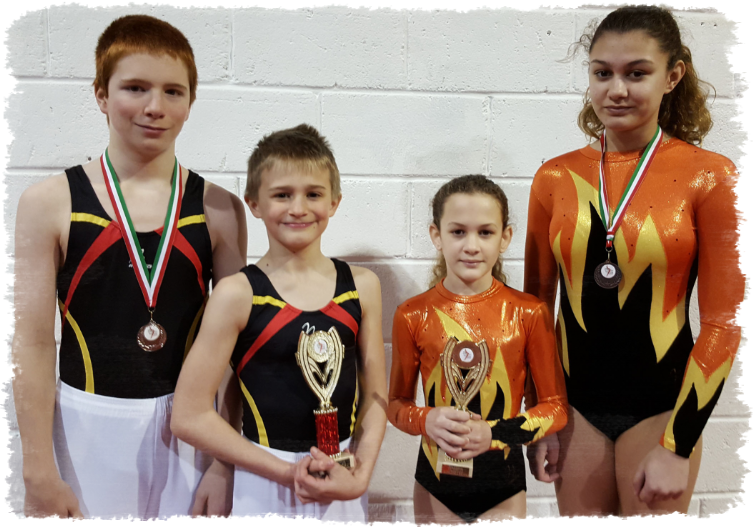 Six Kestrel gymnasts qualified through to the British Tumbling Semi-Finals held in Peterborough, and 12 yr old Jessica Ham won Gold in the 11-12 yrs NDP Level 1 Section, and 15 yr old Sam Dallimore took Bronze in the 13 yrs + NDP Level 2 Section. 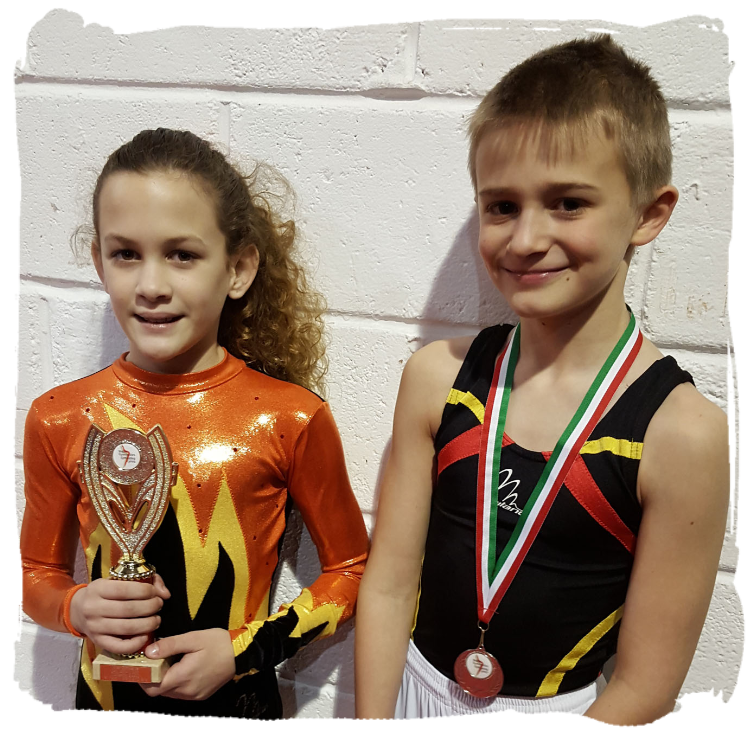 Both gymnasts performed well in their 3 tumbles incorporating Flics and Somersaults, and Jessica has now qualified for the British Finals with Sam as Reserve in his section. Excellent results for their first attempt at that level. Kestrel Gymnasts competing in three different disciplines on the same day had Coaches driving in all different directions! 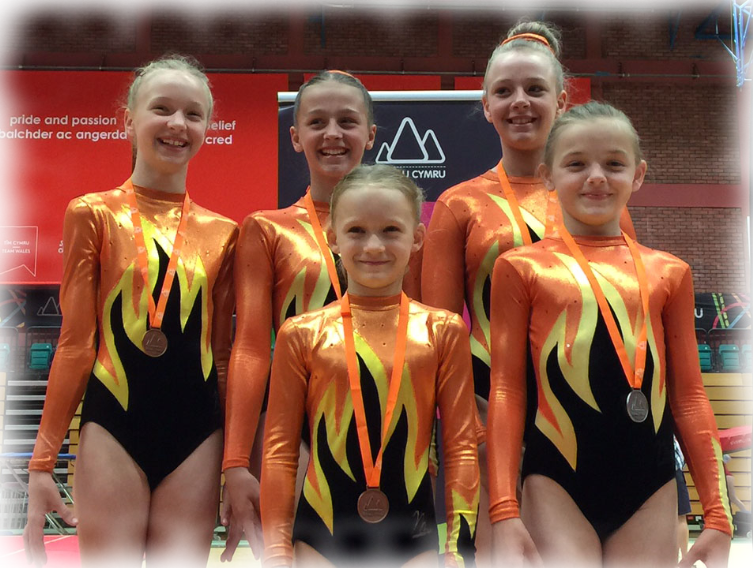 The Acrobatic Squad all medalled in Swansea, with Trio Elisha Burke, Isabel Powell, Mollie Sage, and second Trio Heather Dent, Georgie Davies Eden Fryer, and also pairs Rosie Wilson and Ella Burley all winning Bronze in their age groups. Yazmin Phelps and Isabelle Jones took Silver in their performance as a pair. 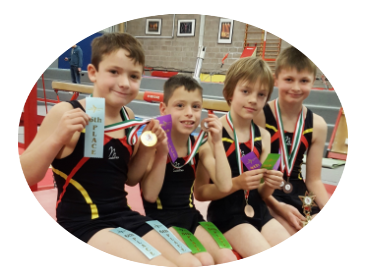 At the Welsh Preliminary Tumble and Vault Championships held at Sport Wales National Centre in Cardiff, Mackenzie Thornton took Bronze Overall, James 4th Overall, together with Oliver Sapsford the boys took U10 Phase 2 Team Silver in the U10 Phase 2 Section. 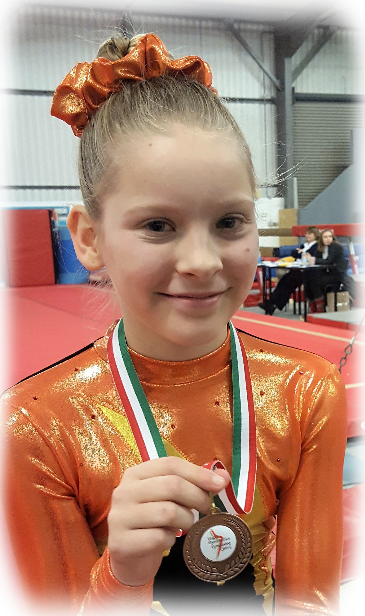 In U12 Section Cora Chisholm won Bronze on Vault and placed 6th Overall. Henry Jones-Dekerf, Lilli Edwards and Honey Manley, though not placed, worked well and were presented with Certificates. In Penarth, Trampoline Gymnasts Lauren Heal, Gemma Heal and Tia Prelevic, all qualified to compete in the Welsh NDP Finals at Sport Wales in May.